Sri Paripoornananda Swamiji’s debate with Dr. Kancha Ilaiah reminds us about the deceptive Christian practices, how they can demean Hindu religion, how they can incite hatred among Dalits, how they mislead the media, how they falsify Hindu way of life, and how they malign different sections of the Hindu community. Kancha Ilaiah Shepherd, knowing fully well that Hindus do not resort to excommunication, deception, brutalization, torture, and killing, he wrote many books criticizing our Gods and Goddesses, debasing our scriptures, and humiliating different caste groups. He has taken full advantage of the constitutional privileges and consistently abused the freedom of speech. His vindictive behavior failed to be civil and sensible. There is an idiom that says, “do not hit below the belt.” In wrestling, no one is permitted to hit below the belt. If he does, he may either lose the points or may even lose the match. In any meaningful discussion, one should have the discipline to overcome the animalistic desire to ask irrelevant questions. Kancha Ilaiah Shepherd crossed the line, and TV moderator failed his professional ethics to confine the discussion to the topic at hand. 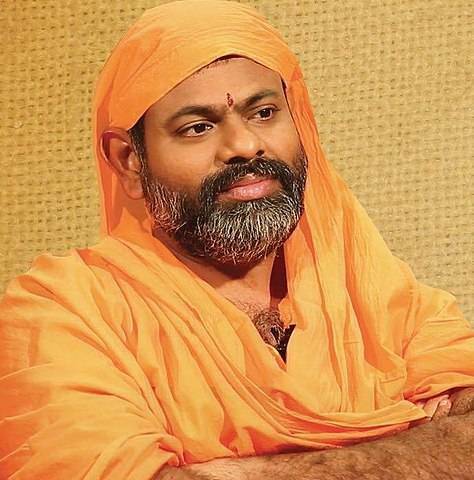 It is time that all Hindus support Sri Paripoornananda Swamiji’s efforts to highlight universal message rather than parochial and constrictive religion. His efforts to counter desa drohis (National traitors) must be supported so that these intolerant enemies will be confronted, counteracted and silenced. If Hindus do not silence these intolerant secularists, these intolerant intellectuals will silence the tolerant. Kancha Ilaiah Shepherd says that he will do anything if he is given 1000 crores of rupees. It is obvious that he received crores of rupees from Christian groups here in India and foreign countries. Basically, he is sold to the money with no morals, no ethics, no principles and no scruples. He shed his character and personality. Is there a difference between a prostitute and Kancha Ilaiah? Both sold their minds and bodies to the customer. 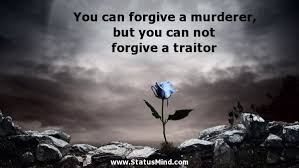 Traitor is one who betrays his or her country. Kancha is a man committed to destroying the very foundation of Bharath, demean the intellectual character of the country, degrade the culture and art of the nation and ridicule every section of the country. Kancha Ilaiah says “he changed his name to highlight his caste’s productive capability – as a shepherd – and break away from the oppressiveness of caste-based hierarchies.” (Hindustan Times, May 27, 2016). Ever since he changed his name, he is acting like a sheep unpredictable and foolish. He says “My feeling is now English has become God’s language. This language is reforming religions and taking God to the people.” He is asking Dalits, Adivasis and backward classes to start learning in a big way. That means he is asking Dalits to ignore learning Indian languages such as Hindi, Telugu, Tamil, Gujarati, Kannada, Sanskrit, etc. The implication being that he does not want Dalits to be in India and he wants to send all of them to English speaking countries. At the same time, he wants to undermine the culture and languages of Bharath that has produced the universal message of ahimsa to bring unity among humanity. “Who is Krishna? Why did the Brahmins create such a god? It is the same Krishna who is said to have authored the most Brahmanical text the Bhagavad Gita. At a time when the Sudras had no right to education, how did a Yadava write the Gita?” He is trying to demean the Brahmins and make other communities to accuse Brahmins as deceptive people who created Lord Krishna. Ilaiah’s stupidity, insanity, and foolishness have no boundaries. Bhagavad Gita is not a Brahmanical text by any standards. It is more universalistic than any scripture in any religion. Henry David Thoreau says, "The reader is nowhere raised into and sustained in a bigger, purer or rarer region of thought than in the Bhagavad-Gita. The Gita's sanity and sublimity have impressed the minds of even soldiers and merchants." Further, he goes on to say that, “"One sentence of the Gita, is worth the State of Massachusetts many times over." Ilaiah’s bastardly knowledge should be condemned. Ilaiah says, “All the Kautilyan statecraft were exhibited by Krishna in the battle field" Ilaiah is saying that Kautilya wrote Artha Sashtra even before Lord Krishna was born. Either he is ignorant of the sequence of events, mentally deranged or deliberately falsifying the history to irate the Hindus. There are hundreds of statements like this written by this contemptible and despicable writer. This traitor should be condemned for his malicious distortion of Hindu gods and goddesses and different sections of India. Philistinism is described as the social attitude of anti-intellectualism that undervalues and despises art, beauty, spirituality, and intellect; "the manners, habits, and character, or mode of thinking of a philistine" (Webster dictionary). A philistine person is a man or woman of conceitedly narrow mind and of conventional morality whose materialistic views and tastes indicate a lack of and indifference to cultural and aesthetic values. 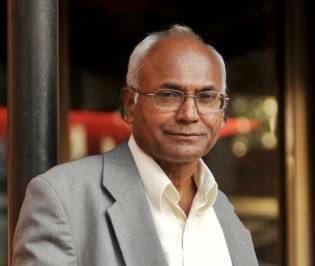 Kancha Ilaiah Shepherd constantly accused the hegemony of Brahmin intellectualism and criticized them for not contributing to the production process of the Indian economy. There are many non-brahmins who excelled in politics, academic circles, and spiritual realms. Mahatma Gandhi, Swami Vivekananda, Brahmananda, Premanand, Sant Tukaram, Aurobindo, Jagdish Bose, Madhusudan Datta, Narayana Swami, S N Gupta, Subhash Chandra Bose, Rajendra Prasad, Jagjivana Ram, Ambedkar, Lala Lajpat Rai, Joshua, C Narayana Reddy, and many more are non-Brahmins outshined in their respective fields. Ilaiah is demanding Dalits to trump Sanskrit to English; they must adopt and own English as their language – in all aspects, from their names to addressing God in their prayers. He further says, “As the Brahmin’s right to worship their god in Sanskrit is accepted, our right to pray to our English-knowing God in English has to be fully respected.” (Scroll, May 27, 2016). It is possible that he may be trying to deprive Dalit Community of being intellectual, mathematical and scientific. Sanskrit means pure, perfect and refined. NASA is using Sanskrit to develop artificial intelligence and developing sixth and seventh generation computers. If they are successful, Sanskrit will be computer language replacing all the existing languages. Ilaiah may have a plan to deprive Dalits the most scientific language by asking them to learn English language only. Ilaiah should know that most of the Western languages such as English, Russian, French, Icelandic, Greek, and others came from Sanskrit. Dean Brown, who is a physicist, a Sanskrit scholar and a translator of Upanishads and Yoga Sutras, believes that Sanskrit is the mother of many European languages. Asking Dalits to learn English by trumping Sanskrit, Ilaiah is making them the paupers of the pure and perfect language and denying them the richest knowledge ever produced in Sanskrit. Since Independence, the caste system has been abolished, and reservations to Dalits and other disadvantaged groups were created. The government has taken many steps to provide quality education for different layers of Dalits and now have occupied more positions disproportionately. The climate in urban India has changed so fast that it is very difficult to identify somebody as a Dalit. In fact, inter-caste marriages are increasing day by breaking the caste lines. Ilaiah should look at the changes on the Indian tapestry and work toward improving the lives of these Dalits rather than kicking them back into the uncertain future by ignoring the richness of Sanatana Dharma. Kancha Ilaiah added Shepherd to his name to show that he is not an intellectual, uneducated, ignorant and illiterate. Why did he add Shepherd to his name? Shepherd is defined as a person who herds and takes care of the sheep. He is asking all the Dalits to act like sheep and listen to him by creating hatred and animosity in the community. Why did Kancha Ilaiah Shepherd change his name? Since he changed to Christianity, let us look at what the Bible says about his name “sheep.” What are the characteristics of sheep as per the Bible? Throughout the Bible people are sinners. They must kneel at the feet of Jesus and pray for all their sins. The minute a person is born in Christianity, he is branded as a SINNER. Then one must act like a sheep. As per Kancha Ilaiah Shepherd who is a Christian and follower of Bible, sheep are foolish, have very low IQs and eat grass. They are slow learners and do the same thing over and over get caught in barbed wires. They need to be rounded up and may be beaten to obey. Satan is constantly on the lookout of the sheep. He always comes to steal, kill, and destroy God’s people. Jesus is there to protect them from being killed. Who is protecting these sheep after Jesus was nailed to the stake and killed? What are the chances these sheep would ever be educated? Even if they get educated like Kancha Ilaiah Shepherd, when would they change their character of a sheep? All the Christians vowed to convert India into a Christian country. Pope Paul announced in 1999 that he wanted to plant cross across India and asked all his followers to convert India. These Dalits are given false information by saying that there is no caste system in Christianity. Everybody is equal with no caste or class divisions. No discrimination is accepted based on the caste system in Christianity. Kancha Ilaiah says he is championing the Dalit community to make sure that they are treated with respect and dignity by converting to Christianity. To achieve this parity, he envisions and advocates a war of weapons in India. Ilaiah claimed to take the responsibility of championing the Dalits welfare and make them free from caste discrimination. He is fighting for equality for Dalits to ensure that there is no discrimination based on caste in Christianity. He said that when he was reading Bible, “Genesis says that God created all human beings in his image both men and women and created them equal.” In 2005, he testified in Congressional hearings in USA on “The Abolition of Untouchability: The Key to Stability in India”. His mission was to eliminate discrimination against Dalits. 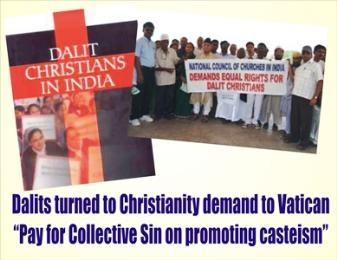 Now the question is, what is Ilaiah doing to stop the discrimination of Dalit Christians in Christian Churches. He has been barking about Dalits being discriminated and suppressed by Hindu community. Did he do anything about discrimination of Dalits in Churches? Why has he not championing Dalit discrimination in Christianity? Let us look at some of the discriminatory practices Churches are engaged in. 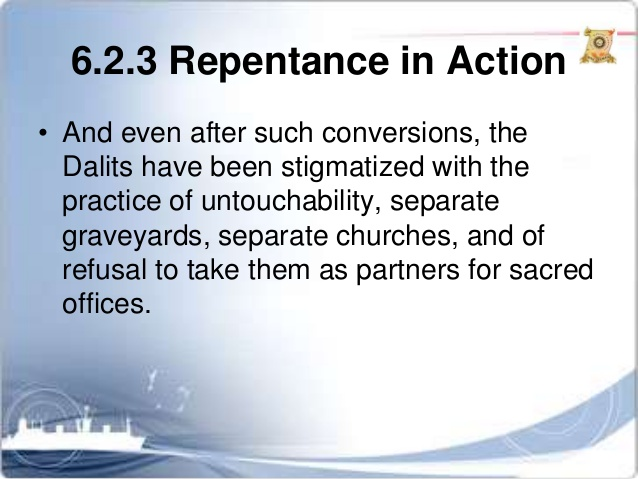 Ilaiah conveniently ignored Dalit discrimination in churches. He asked Dalits to change their religion because Christian God is God of Equality – that means everybody is equal. Nobody is subjected to discrimination, suppression, and humiliation. Christianity is supposed to be the bastion of equal treatment. Is it really? “We have raised our voice time and again to end this practice in the Indian Church, but our pleas have been falling on deaf ears (…) They do not take our case seriously to the Vatican”, John said. (Eurasia Review, June 30, 2015). Kancha Ilaiah Shepherd conveniently ignores the rampant discrimination of Dalit Christians by Christian Churches. His foolishness along with his hatred toward Hindus and love for his foreign money prevent him being a champion of Dalit Christians. He dares not talk about Dalit Christian discrimination and accuse the Churches of discrimination because his resources may dry up. Alternatively, he may be afraid of being excommunicated from his Church and become a “untouchable” by Christian God. What a hypocrisy? Is Kancha Ilaiah Deceptively Ignorant? Stratification is Universal – Not confined to India alone. He is ashamedly ignoring about the caste divisions even in Christianity in India which existed for more than 2000 years. Syrian Christians in Kerala consist of the members of the Syro-Malabar Catholic Church, Syro-Malankara Catholic Church, the Malankara Orthodox Syrian Church, Malankara Jacobite Syrian Orthodox Church, Malankara Mar Thomas Syrian Church, Chaldean Syrian Church, and Syrian Christians of the Madhya Kerala Diocese of the Church of South India and so on. Similarly, in Goa, we find divisions based on the original caste system that prevailed during Goa Inquisitions. Likewise, caste divisions in Tamil Nadu and Andhra area among Christians are pronounced. In the United States, society is divided into different socioeconomic classes based on education, occupation, and income. Among Christians, there are 35 largest denominations. 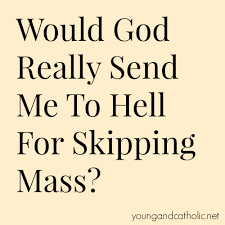 Various denominations believe that their followers have a better chance of going to heaven while others are condemned to hell. Nobody can be saved if he or she do not believe in Christ. Mormons say that they are the only true church and all others are false. The Lutheran, Baptist, Methodist and other Protestant churches say the Roman Catholic Church is pagan. The Roman Catholic Church says about all the other churches of Christendom they are in error. Jehovah’s Witness’ claim that all other churches and sects are apostates and demonic. Similarly, US is divided into white, black, Hispanic, Red Indian, Italian descent, Irish, polish and so on. Muslims are divided into Sunni, Shia, Sufi, Aga Khan, and other sections. There are numerous splinter groups named after individual scholars such as Hanifa, Maliki, Safii, Zaydi, Nusayri, etc. Shia-Sunni conflict is as old as the origin of Islam – that is about 1400 years in the making. Saudi Arabia which is ruled by Sunni King is in constant conflict with Iran and other countries that are dominated by Shias. In one of the Hadiths, the Prophet was quoted as saying: “My Ummah (community) will be fragmented into seventy-three sects and all of them will be in the Hellfire except one.” Both Sunnis and Shias are in constant conflict for centuries with the claim that each one is the purest sect than the other. In the UK, the color was a big factor in discrimination. Mahatma Gandhi was thrown out from the railway compartment because of his color. Former British Prime Minister Winston Churchill once called Mahatma Gandhi "a seditious Middle Temple lawyer, now posing as a fakir... striding half-naked up the steps of the Viceregal Palace." Jamshed Tata was supposed to have been denied access to Watson hotel in London because of his color. Kancha Ilaiah Shepherd conveniently ignores the divisions across the globe and highlights the caste system only in India. He is aware that minorities have more rights in India than any other society and he is exploiting to the fullest with money from Christian countries abroad, the liberal, and the so-called secular media who prostituted themselves selling their bodies (media, books, ideas) to serve the needs of these so-called minorities. 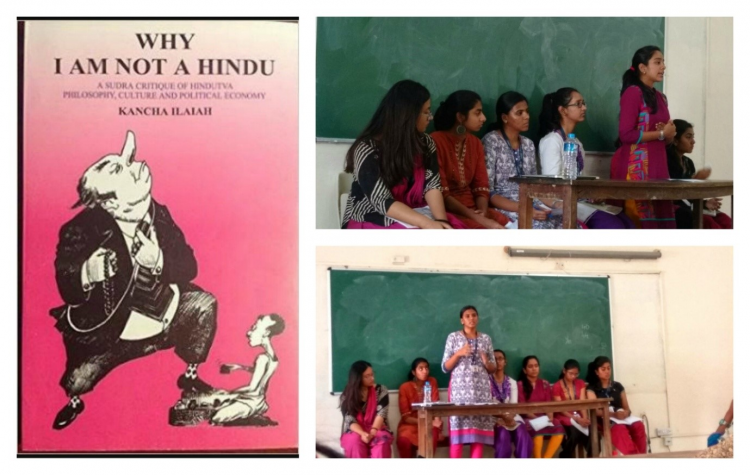 In his book, “Why I am not a Hindu?”, he criticized, demeaned and hated Hinduism. His mental derangement, degradation, illusion, hypocrisy, anger, and madness obscured his reasoning, rationality, objectivity and human decency. Animalistic tendencies of aggression, brutishness, violent behavior, cruelty and anger clouded his human qualities of decency, civility, sensibility, respect, graciousness, and politeness. Rajiv Malhotra described the venomous attitude of Ilaiah toward Sanskrit in his book “Breaking India.” In his presentation before India’s National Conference on Human Rights, he demanded that, “We want to kill Sanskrit in this country.”’ In an interview, he also advocated, “‘We should close down the IITs and the IIMs as they pander to the upper-caste economy of the country.”’ Ilaiah’s work illustrates how the Dalit movement has absorbed the rhetoric of the Dravidian separatists, such as demonizing Sanskrit and Hinduism as being the roots of oppression. Much of India’s shared heritage is made out to be the root of Dalit grievances. Ilaiah, being an academician, should have known that Christianity is dying day by day in Europe and America. In Europe, only about ten percent of the Christians go to Church. In the USA, the percentage of Christians attending the Church is declining mainly because of millennials (Younger generation) are leaving churches in droves. According to Hartford Institute of Religion Research, about 20 percent are going to church. Between 7,000- 10,000 churches are closed every year. The Christian Post says that an estimated 3,500 people are leaving the Church every day because they do not feel connected. 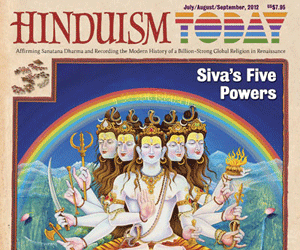 Lisa Miller published an article in NEWSWEEK entitled “We Aar All Hindus Now” to indicate the widespread acceptance Hindu ideals in the United States. Instead of embracing Hindu ideals he is putting his head deep into the mud. He is getting entangles in the web deliberately created for name fame, popularity and money. Many transcendentalists propagated Hindu ideals and lived pious life USA. Many Nobel laureates consulted Vedas, Upanishads and Bhagavad Gita to get their inspiration to continue their research. Any objective evaluation of Gita would come to the assessment reached by Henry David Thoreau who said, “In the morning I bathe my intellect in the stupendous and cosmogonal philosophy of the Bhagavad-Geeta.” Nobel Laureate Neil Bohr said, “I go into the Upanishads to ask questions.” Werner Heisenberg stated, “Quantum theory will not look ridiculous to people who have read Vedanta.” Likewise, the teachings and philosophy of Vedas, Upanishads and Bhagavad Gita received admirations from prominent people such as Mahatma Gandhi, Schopenhauer, Niels Bohr, Aldous Huxley, Albert Einstein, J Robert Oppenheimer, Ralph Waldo Emerson, Carl Jung, Heinrich Himmler, Albert Einstein, Herman Hesse and others. It appears that Ilaiah wanted to deny this treasure to Dalits by diverting their attention for his selfish interests and to go abroad and seek money to get rich. He accused the government of putting school children's health in jeopardy because they are trying to impose vegetarianism on the students. "Other countries like China are doing better because their children are mentally and physically stronger as they are good meat-eaters. We, on the other hand, don't even want to give children something as basic as eggs," he retorts. (May 14, 2017; Edexlive). This is another ridiculous statement made by this illiterate Kancha Ilaiah Shepherd. Does he know that it was t ancient sages were vegetarians who excelled in scientific, philosophical and spiritual endeavors? These sages were the ones who invented zero, infinity, phi, calculus, algebra, metallurgy, surgery, dentistry, gravity, and so on. In fact, meat eaters are more lethargic then vegetarians. 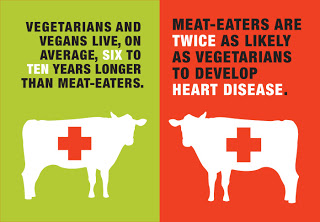 Meat eating is associated with shorter lifespan while vegetarians live longer. Meat eating also with hardened blood vessels, increased risks of diabetes, cardiovascular disease, stroke, and certain cancers. It may increase the risk of developing Alzheimer’s disease, according to a recent study from UCLA. In 2016, leading Texas hospital is promoting a vegetarian diet. Midland Texas is known for eating meat, raising cattle and sending them to slaughterhouses. Midland Memorial hospital admits many patients with heart deceases who may have to undergo surgeries, maybe several. The doctors are putting a book in their hands and wanted them to make a choice – whether surgery or no surgery. Many patients are choosing plant-based diet instead of taking the risk of surgery. Now Midland hospital has become the first hospital to advocate a vegetarian diet. Kancha Ilaiah Shepherd does not care what happens to the Dalits. He wants them to eat beef to make them susceptible to all kinds of health problems. Anything Hindu is allergic and averse to him. Anything healthy is unacceptable and deplorable to him because many Hindus are vegetarians. It does not matter even if Dalits might have a shorter life. He conveniently ignores the overwhelming evidence on the risks of meat eating. His jaundiced eyes cannot see the fruits of living a healthy life. Is Ilaiah championing health risks and early death for Dalits? Hindus should get united and condemn his views expressed either in the books he has written, articles he authored, or views expressed in the media. He is a loose cannon, a loose tongue and blurts out whatever comes out of his mouth without ever thinking, understanding and digesting his own words. His mind and body is soaked with anger, hatred, and animosity. One wonders how he even received his degrees. Hindu society is very gracious to provide all help for minorities such as Dalits. However, one should investigate the process to award Ph.D. degrees by some of the universities to find out if these degrees are granted based on the minority quota or the merit. Swami Paripoornananda Saraswathi and others have taken a stand to defend Hindu way of life and criticize the anti-Hindu war waged by morally bankrupt Christians, Muslims, liberals, intellectuals, secularists, and media. 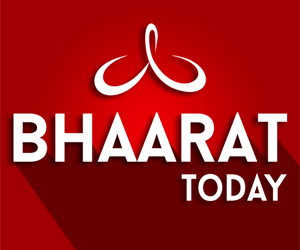 Swami Paripoornananda even started Bhaarat Today TV to defend Hinduism from these anti-Hindus such as Ilaiah and others, and portray the time-tested ideals of Hinduism that have contributed to the harmony and peace in the world for centuries. It is time to bring out the richness of Sanatana Dharma, unparalleled scientific achievements, treasures of spiritual living, all comprehensive inclusiveness, and the philosophy of “live and let live.” Every Hindu should stand up to challenges of these anti-Hindu elements and support the efforts of Swami Paripoornananda and other who are defending and protecting the Mother India. Let us speak out and stand up for Bharata Mata.